its not hard to see where this will end up. its all ready happened. Imagine how deluded you'd have to be to think sending your teenage daughter to Ghana was a good idea. Bet the parents are all "refugees welcome" types. "How can I help it? How can I help but see what is in front of my eyes? Two and two are four." His bird is tipping the scales at 19 stone too mate. They travel together. So that's 55 stone which is 350kg. That's a fair bit of weight to have sitting on your back axle when you're going over speed ramps. They use taxis a few times a day so image being the same car picking them up all the time? A Hummer might be a better fit. This is what happens when you leave it to the women and the brothers to take care of things. Straight back to the jungle. &comear, we're going to import a million of them. The prognosis is 10 years, that's 10 years before the carbon get us. 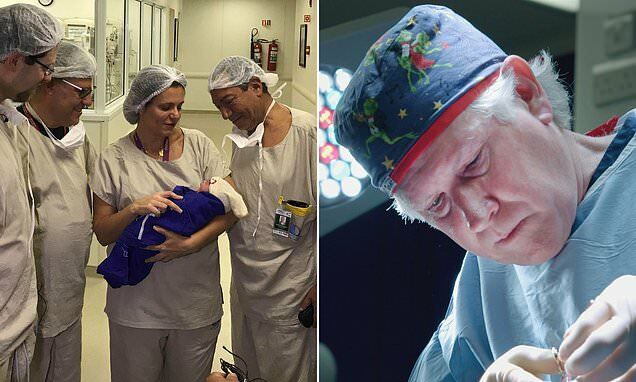 Surgeon Christopher Inglefield (pictured), believes transgender women deserve a uterus implant after doctors in Brazil delivered the world's first baby from a transplant last year. The layers of sickness among the royal parasites are something to behold. What a shame. Having all that money, freedom, and connections and a life completely destroyed by Mammy n Daddy.